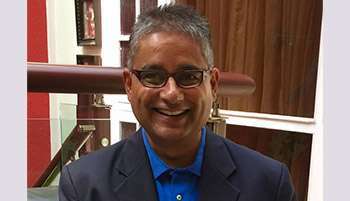 Raj is currently Senior Vice President, Human Resources, IndiGo (InterGlobe Aviation Ltd). Previously, he was Amazon’s Head of Human Resources for Asia Pacific Region for their Consumer, Devices and Kindle Content Businesses as well as Global Technology & Business Operations Centers spanning several countries across the region. He joined Amazon in early 2011 as their India Head of Human Resources and supported the launch of several businesses and technology development centers in the country. Prior to joining Amazon, Raj was Head of Human Resources for GE’s Global Research and India Technology Centers. He initially joined GE in 1999 at GE Capital International Services (now Genpact) and held various senior HR leadership positions supporting several businesses in various locations. Starting his HR career in the late 80’s, Raj has held several senior HR leadership positions across geographies in organizations such as Unilever, Ford Motor Company and HSBC. He also serves on the Advisory Boards of Forum for Women in Leadership and Society for Human Resource Management India. Raj earned his Undergraduate degree in Economics and Masters in Personnel Management & Industrial Relations. He is married to Priya and they have a son named Hridhey.